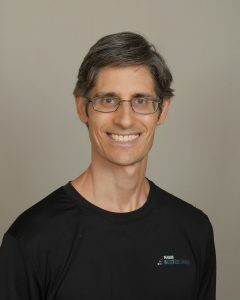 Jonathan Rose trains caregivers on what exercises and stretches they can do with the person they are taking care of so they can get regular exercise. Caregivers normally don’t do any exercises with the person they are taking care of. They usually work long hours and just do activities of daily living like feeding, bathing, cleaning and companionship with some walking at times. They are in an ideal position to do some exercises with the person they are taking care of. Jonathan can train the person regularly and oversee what the caregiver is doing, make sure they are exercising with them, making sure their form is good, answering any questions they might have and progressing the client. Jonathan can train the caregiver or family member to help the average person with no major issues to know what exercises they can do with them. Jonathan can train the caregiver or family member how to manage a person’s symptoms with Parkinson’s. He can teach them how to manage their rigidity, get looser when they feel stiff, What exercises they can do with them, pictures and videos will be taken so the caregiver or family member can refer to.